my co-worker, james, finally hit the big 2-5 a few weeks ago. what a baby!! james loves barbara, his cats, ice cream sandwiches, salmon sashimi, whiskey, playing computer games, making processes more efficient, and anything with bacon. 🙂 for his birthday, i made him a key lime pie (his favorite). 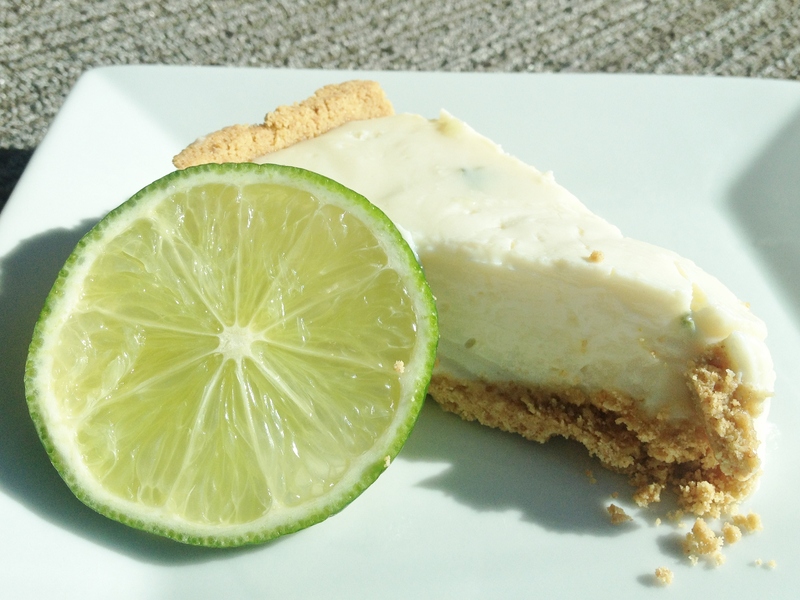 one time he tried to make a key lime pie himself, but he got overzealous with the lime zest. i made sure i zested the proper amount in this one. this was very easy to make, as it was more cheesecake-y than fluffy/meringue-y. took no more than 15 minutes tops to make from start to finish. the recipe is from allrecipes. it is no wonder that james liked the pie….the entire thing was condensed milk and sour cream! Preheat oven to 350 degrees. 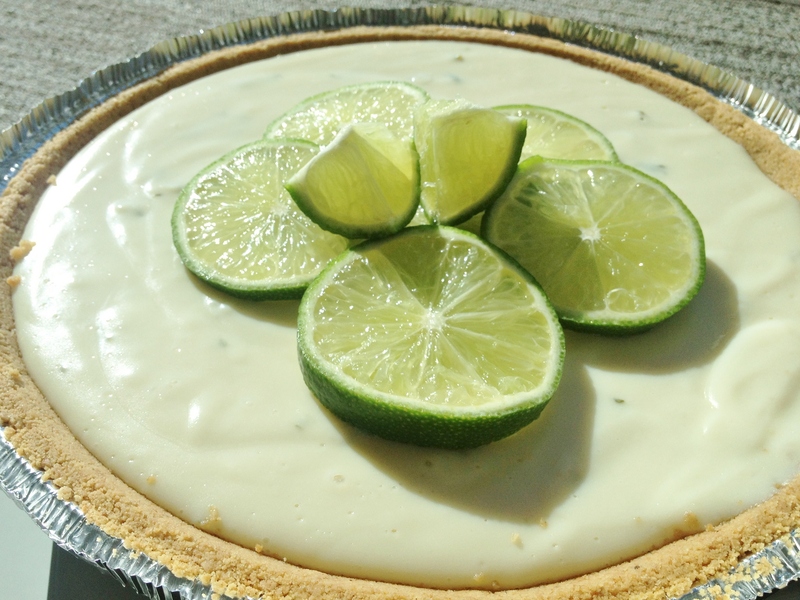 In mixer bowl, combine the condensed milk, sour cream, lime juice, and lime zest. Mix on medium for 2-3 minutes until smooth. Pour into graham cracker crust. Bake in oven for 5-8 minutes, or until tiny pinhole bubbles start bursting on the surface of the pie. Do not let the pie brown at all. Chill in the fridge before serving. Garnish with lime slices. This post made me smile =) Thanks Emily! You know me quite well… and this pie was delicious!